You deserve a smile that’s noticeable for all of the right reasons. Sarah Winter Dental offers teeth whitening to give you a gorgeous grin with bright, clean, healthy-looking teeth. Our practice loves teeth whitening as much as our patients do. Led by Dr. Sarah Winter, our team provides treatment that is fast, non-invasive, comfortable, and transformative. The excitement that patients have and the improvement that they see following their appointment make this one of our favorite services to perform. Just as important as the care you get is the experience you can expect. The hygienists of Sarah Winter Dental are thorough, gentle, and highly educated in treatment methods. They’ll take the time to get you the best results possible with teeth whitening, tailor the procedure to your needs and preferences, and advise you about ways to maintain your results for as long as possible. Food and drinks that stain the enamel (the outer surface of the teeth). The tar and nicotine in tobacco. Thinning enamel as you age. Patients choose teeth whitening to reverse these changes and to restore a whiter, more aesthetically appealing smile. The treatment Sarah Winter Dental uses removes stains from the surface of the teeth to allow your brighter natural color to come through. Teeth whitening offers many benefits as a cosmetic solution. It’s fast. Getting whiter, brighter teeth can take as little as an hour. If you’ve been dissatisfied with the way your teeth look for months or even years, the rapid improvement you will see will have you asking yourself why you didn’t make an appointment sooner! It’s convenient. Sarah Winter Dental provides both in-office and at-home teeth whitening. If you have the time to come in for an appointment, you can get great results in a single visit. Prefer to treat your teeth at home? We can create a customized teeth whitening kit for you to use according to your own schedule. It’s comfortable. One of the challenges that some patients have with teeth whitening is tooth sensitivity. Our hygienists have extensive experience with whitening and know how to plan your treatment to make it pain-free. We will alter the strength, schedule, and type of treatment you follow so that your experience is completely comfortable. It’s effective. Teeth whitening is a common and proven option for getting whiter, healthier-looking teeth. Whether you are trying to maintain an attractive smile or you have a special event coming up and want to look your best, you can benefit from treatment. 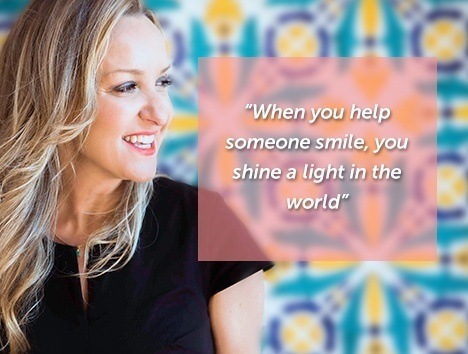 Sarah Winter Dental has established itself as the La Jolla community’s go-to practice for cosmetic dentistry. We prioritize compassionate and engaging care for every patient. Our staff will give you extensive time and attentive treatment during your visit so that we can identify ways to improve your comfort, dental aesthetics, and oral health. Patients can choose either in-office or at-home teeth whitening. While the experience with each will be different, you can expect excellent results with either approach. Typically, you will only require one in-office visit to get the full improvement you want with teeth whitening. We will keep you completely comfortable during the appointment, and you should see a significantly whiter smile by the end of your treatment. Our practice uses several different brands of teeth whitening products that we have found offer effective results. During your visit, your hygienist will apply a special gel to your teeth that will dissolve and lift away stains. The result will be a brighter and healthier-looking smile. With the at-home version, Sarah Winter Dental will give you a series of whitening gel trays. By wearing these trays daily—usually for less than one hour at a time—you will gradually improve the color of your teeth. We want you to be as comfortable as possible, so we may adjust the whitening strength, schedule, or other features of your treatment if you are prone to sensitivity. We may also recommend a whitening product that uses pre-fabricated, disposable trays over one that uses customized trays if you prefer not to have impressions taken of your teeth. With either the in-office or at-home approach, you may find that your teeth need a reapplication over time. We encourage you to return to Sarah Winter Dental to maintain bright and beautiful teeth. Our practice is here for you if you have any questions before, during, or after treatment. We look forward to helping you get your best smile yet! La Jolla patients can schedule teeth whitening with Sarah Winter Dental online or by phone at (858) 454-1500.